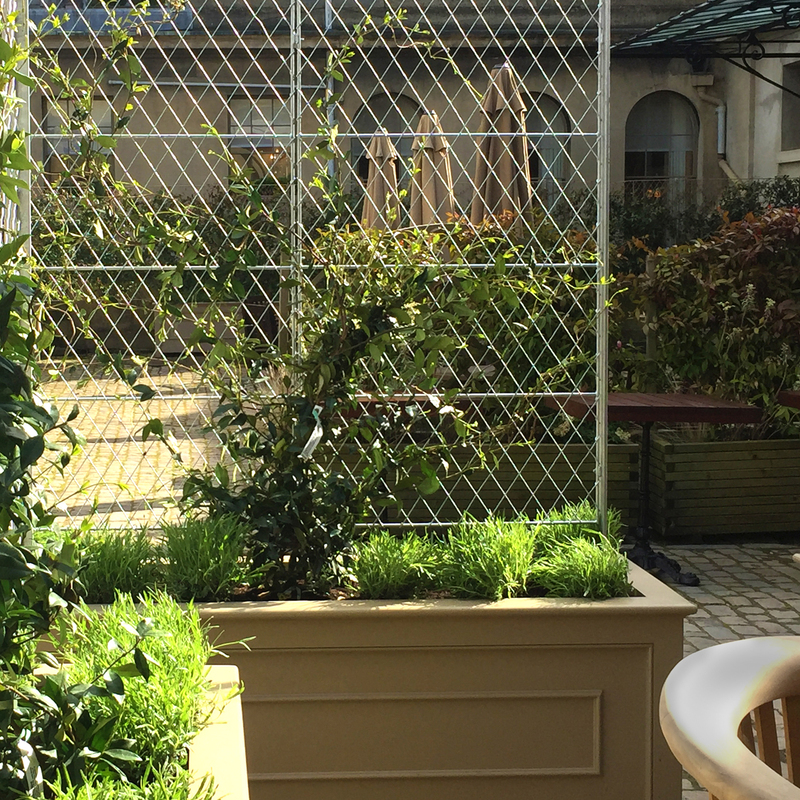 Use our fence trellis panels and posts to create a robust yet elegant framework for your climbing plants and to enclose or divide different areas of your garden. 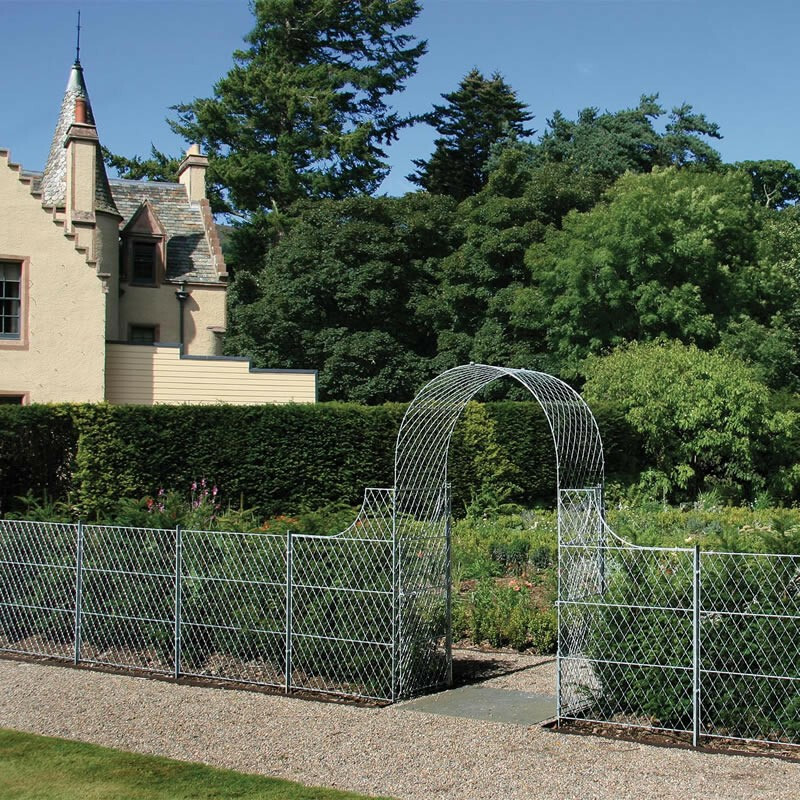 This inter-working system of trellis panels can also be combined with our matching arches and gates. 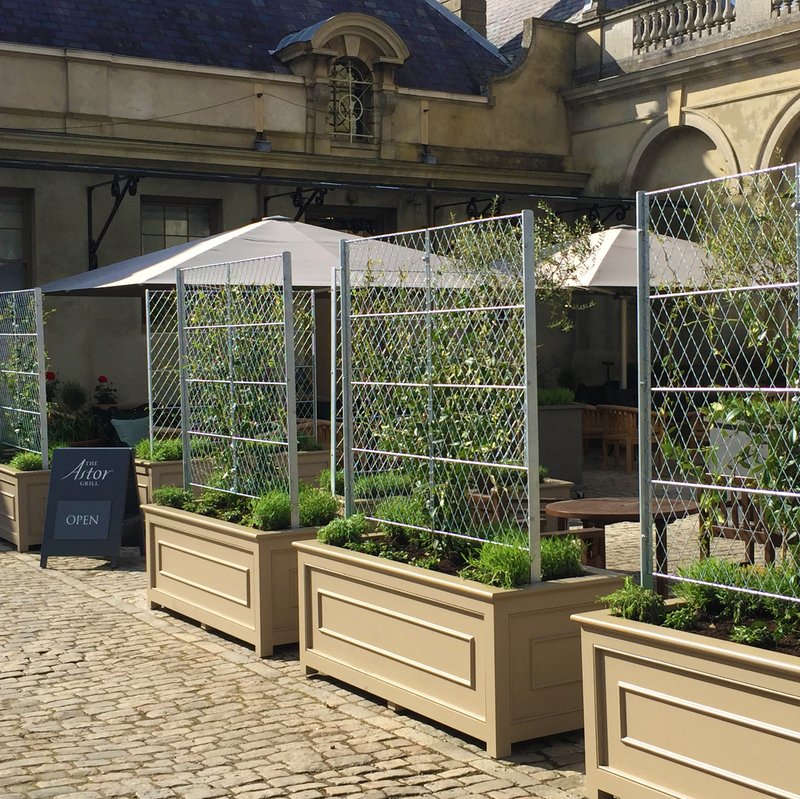 The superior alternative to wooden trellis or timber fencing, our wirework lattice panels are corrosion-resistant, allowing your plants to remain undisturbed for years. 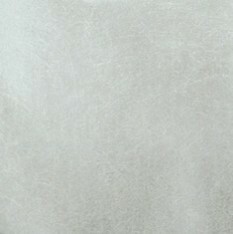 Highly adaptable, choose from our standard range below, or call us for bespoke sizes and designs. 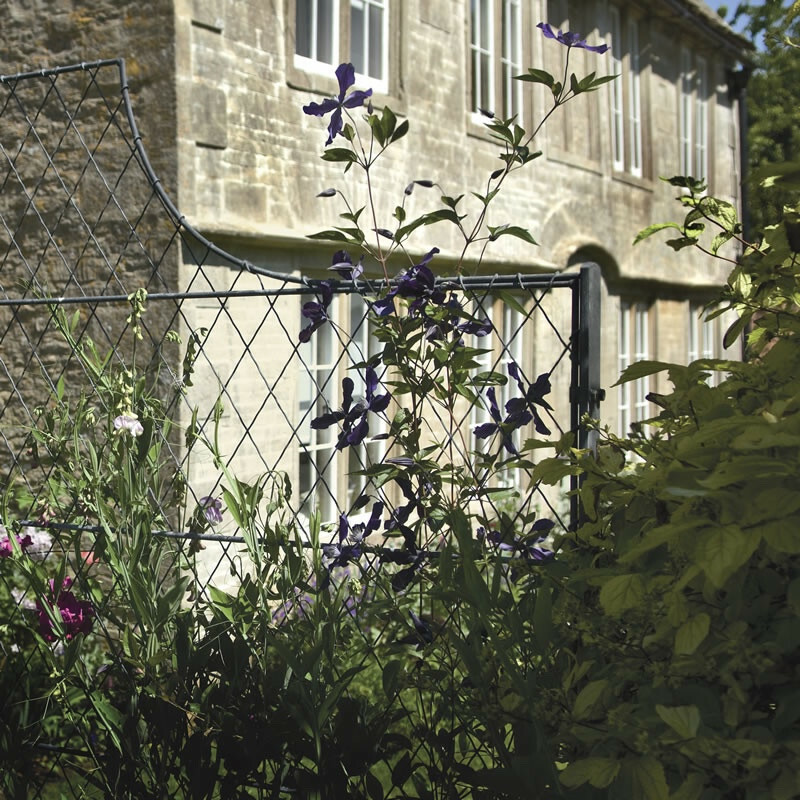 Choose from our range of wirework trellis panels & posts to create your own scheme. to match the trellis panels. TR205, TR203, TR102, TR204, TR206. A run of Drop Curve Panels and Posts. Each trellis panel is fixed to a post using the nuts and bolts provided with every post. The flat bar, solid steel posts are designed to be strong yet unobtrusive. 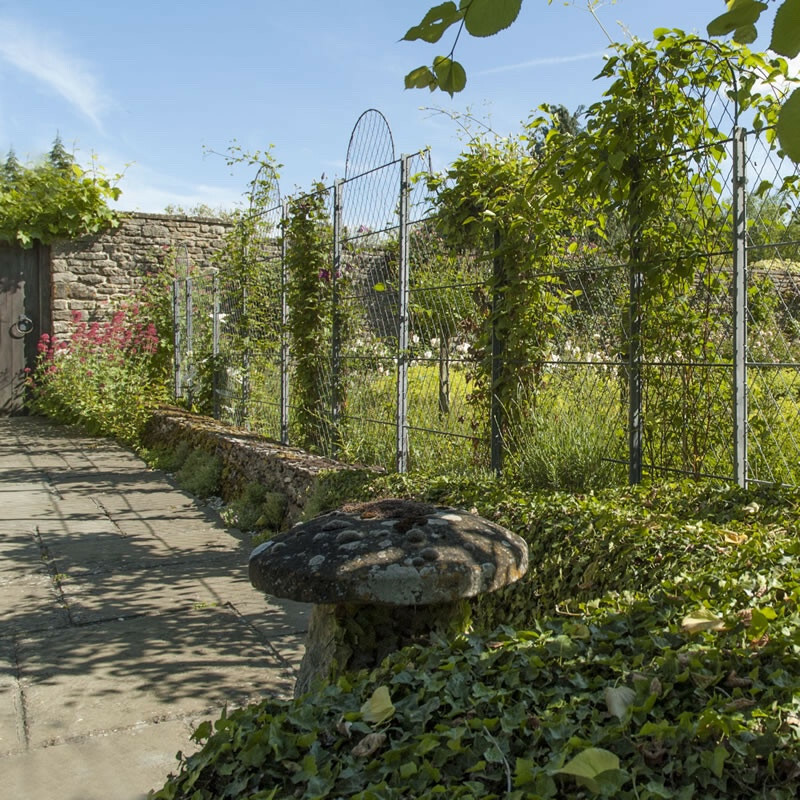 The trellis panels are designed to line up next to each other, and each post is designed to be concreted into the ground. Alternatively, if you wish to screen an area on a courtyard or patio, we can make the posts with bolt-down plates for fixing down onto the floor, just call us for more information. It has been a pleasure to meet and work with you. We’re all delighted with the results, the made to measure trellis panels and posts are the perfect solution. When working out what panels and posts you might need for a scheme, the dimensions shown on our website and brochure are nominal dimensions. Thickness of post between trellis panels depends on what size panels are being supported; the gap between each panel may vary between 15 and 25mm. 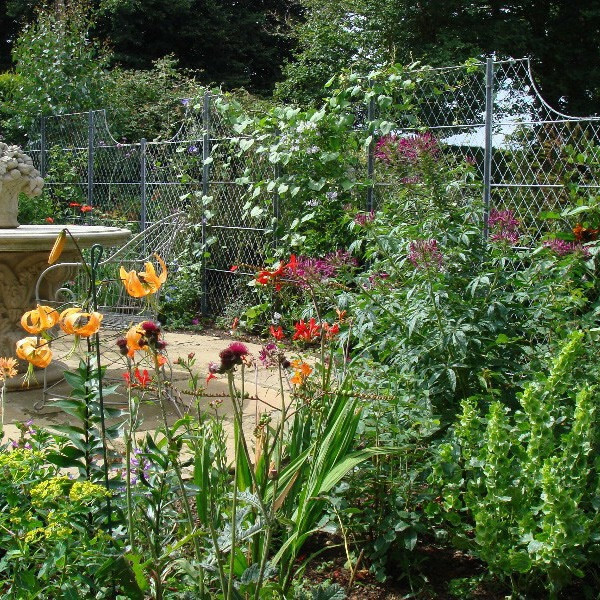 Under standard garden conditions, this is fine, but if the dimensions of your site are very specific, please call us as we can make the scheme fit very tight tolerances. 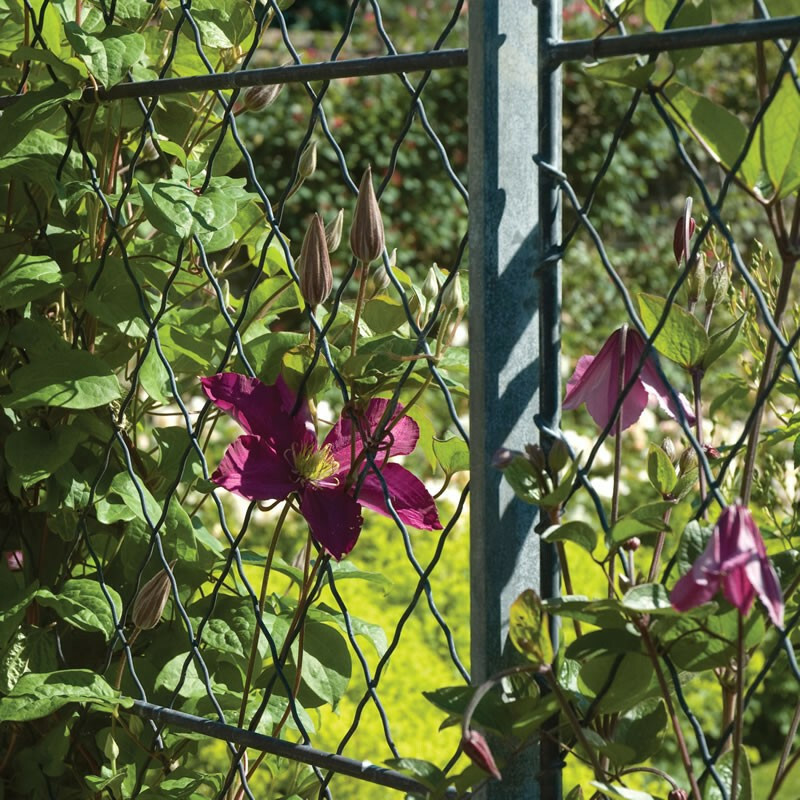 Every trellis fence panel will need to be fixed to a post or wall for stability. We have two main methods of fixing the panels to the posts: the highly adaptable double bracket that allows panels to sit at any angle off the post, or the discreet ‘D’ lug that’s welded at ninety degrees to the panel edges. The double bracket method is ideal for larger or complex panel schemes, with each bracket clamped onto the panels on-site at any angle using the nuts and bolts supplied. Ensure that the whole scheme is set up level and plumb before finally filling any post holes with concrete.